Colocasia esculenta (CE) Linn. (Family: Araceae) is an annual herbaceous plant with a long history of usage in traditional medicine in several countries across the world, especially in the tropical and subtropical regions. The herb has been known since ancient times for its curative properties and has been utilized for treatment of various ailments such as asthma, arthritis, diarrhea, internal hemorrhage, neurological disorders, and skin disorders. The juice of CE corm is widely used for treatment of body ache and baldness. 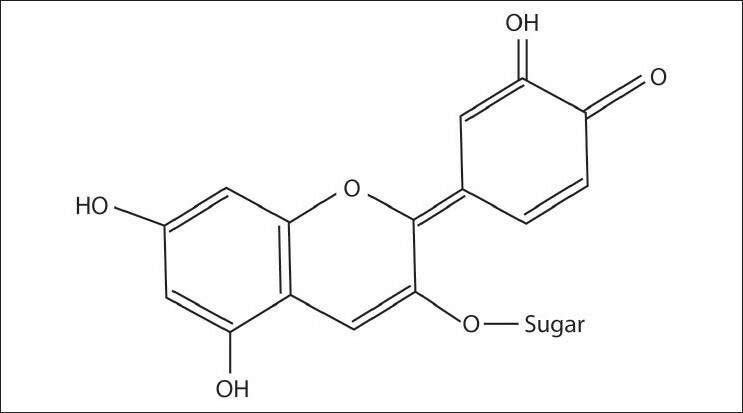 A wide range of chemical compounds including flavonoids, β-sitosterol, and steroids have been isolated from this species. Extracts from this plant have been found to possess various pharmacological activities. This contribution provides a comprehensive review of its ethnomedical uses, chemical constituents, and the pharmacological profile as a medicinal plant. Particular attention has been given to analgesic, anti-inflammatory, anti-cancer, and hypolipidemic effects presented in this review in order to evaluate the potential use of this plant in pharmaceuticals. Selection of scientific and systematic approach for the biological evaluation of plant products based on their use in the traditional systems of medicine forms the basis for an ideal approach in the development of new drugs from plants. One such plant is Colocasia esculenta Linn, commonly known as taro (English); aravi (Hindi) and alupam (Sanskrit). It is a tall and perennial herbaceous plant growing throughout India. It is a wild plant and cultivated throughout the hotter parts of India and Ceylon. It is cultivated in all hot countries. For taroleaf production, magnesium was found to have a significantly favorable effect. Under the agroclimatic conditions of Kerala, a spacing of 60Χ45 cm, and the use of green leaf mulch, significantly increased the yield, but did not affect the quality aspect of the cormels, such as starch and oxalate content. Use of leaf mulch increased the protein content of the cormels. The growth and yield of taro were found to increase by using Dadap (Erythrina spp.) and Panicum maximum Linn. as soil mulches, the former being more effective than the latter. Colocasia esculenta Linn. is a tall herb [Figure 1], tuberous or with a stout short caudex, flowering and leafing together. Leaves are simple, with a stout petiole, lamina peltate, ovate-cordate or sagittate-cordate. Spadix shorter than the petiole and much shorter than the spathe, appendix much shorter than the inflorescence. Petiole erect, up to 1.2-m long, rarely longer with a triangular sinus cut one-third to half way to petiole, with a dull, not polished surface above, paler or colored beneath, but rarely glaucous. Peduncle shorter than the petiole, spathe pale yellow, 15- to 35-cm long; tube greenish, oblong; lamina narrowly lanceolate, acuminate, convolute, never widely open, and curved slightly backwards in flower. Female inflorescence short, male inflorescence long, cylindrical, usually interposed neuters between the two. Appendix erect, elongate-conical or fusiform, subulate or abbreviate. Male flowers 3-6 androus. Female flowers 3-4 gynous; ovary ovoid or oblong, one-locular; ovules several or many, biseriate; style 0 short in the beginning, later on 0; stigma depressed-capitate, very shortly 3-5 sulcate. Berries obconic or oblong, many seeded. Seeds oblong, sulcate. Albumen copious; embryo axile. Stem above ground 0, or slightly swollen at the base of the leaf-sheaths, arising from a hard tapering rhizome or in cultivated forms a tuberous rhizome suckers and stolons sometimes present. Spadix much shorter than the spathe rather than slender. Female inflorescence as long as the sterile male inflorescence. Appendix much shorter than the inflorescence, style very short; stigma discoid. Epidermis is made up of single layer of spherical to polygonal cells with straight to slightly beaded anticlinal walls, wavy in shape. Chlorophyll is present in epidermal cells. The outer surface is cutinized. It shows dorsiventral arrangement and mesophyll is differentiated into palisade and spongy parenchyma. Palisade cells filled with chlorophyll and phenolic compounds. The leaf is monocot, so it shows presence of vacuoles. It is made up of parenchymatous cells with varying size and shape, which measures about 7-9 cells in thickness, with intermittently interspersed vascular elements. A majority of cells are filled with compound-type starch grains. Starch grains are simple, spherical with centric helium and less prominent striations. Epidermis is made up of single layer of polygonal cells with straight to slightly beaded anticlinal walls. It shows the presence of paracytic type of stomata and papillae. Each vascular bundle is simple and surrounded by a single layer of parenchymatous bundle, while larger vascular bundles are surrounded by sclerenchymatous bundle sheath. This extends up to the upper or lower or both epidermis. The pressed juice of the petiole is stypic, and may be used to arrest arterial hemorrhage. It is sometimes used in ear ache and otorrhoea, and also as stimulant and rubefacient and also in internal hemorrhages. Leaf juice is stimulant, expectorant, astringent, appetizer, and otalgia. The juice expressed from the leaf stalks with salt is used as an absorbent in cases of inflamed glands and buboes. Cooked vegetable contains mucilage and found to be an effective nervine tonic. Decoction of the peel is given as a folk medicine to cure diarrhea. Increases body weight, prevents excessive secretion of sputum in asthmatic individuals. Juice of the corm is used in cases of alopecia. Internally, it acts as a laxative, demulcent, anodyne, galactagogue and is used in cases of piles and congestion of the portal system; also used as an antidote to the stings of wasps and other insects. Corm is used by people of the Munda tribe as a remedy for body ache. Corm contains starch, mucilage, dihydroxysterols, fat, calcium oxalate, vitamin B, iron, etc. Besides starch, the tubers contain natural polysaccharide with 56% neutral sugars and 40% anionic components. Steamed corms contain 30% starch and 3% sugar. From the tubers, two dihydroxysterols, 14α-methyl-5α-cholesta-9, 24-diene-3b, 7α-diol and 14α-methyl-24-methylene-5α-cholesta-9, 24-diene-3α, 7 α-diol, besides b-sitosterol [Figure 6] and stigmasterol, nonacosane and cyanidin 3-glucoside [Figure 7] have been isolated. 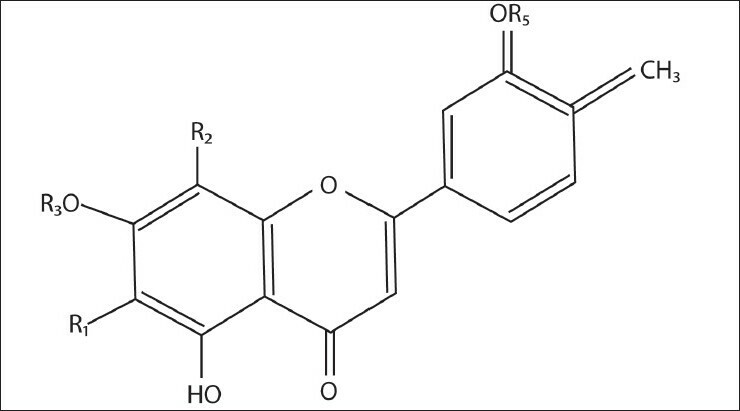 In addition, five novel aliphatic compounds tetracos-20-en-1, 18-diol; 25-methyl triacont-10-one; octacos-10-en-1, 12-diol; pentatriacont-1, 7-dien-12-ol and 25-methyl-tritriacont-2-en-1, 9, 11-triol, along with nonacosane and cyanidin 3-glucoside have been reported. 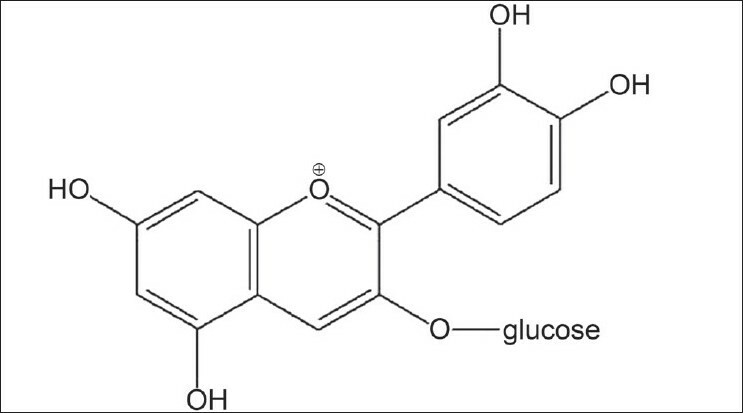 An antifungal compound, 9, 12, 13-trihydroxy-(E)-10-octadecenoic acid, and two enzymes, lipoxygenase and lipid hydroperoxide-converting enzyme, which are responsible for the production of antifungal lipid peroxides, were detected in taro tubers infected by Ceratocystis fimbriata0. Iwashina et al. carried out isolation and identification of the flavonoids in the leaves of C. esculenta plant. 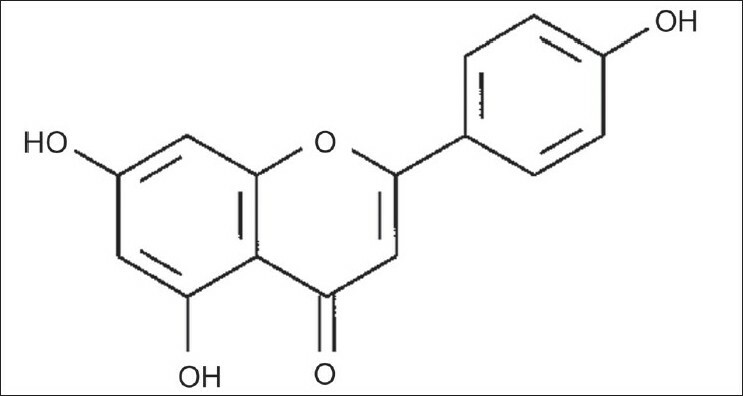 The flavonoids were identified by UV spectral analysis. They isolated eight flavonoids viz. orientin, isoorientin, isovitexin, vicenin-2, orientin 7-O-glucoside, isovitexin 3'-O-glucoside, vitexin X" -O-glucoside, luteolin 7-O-glucoside  [Table 1] and [Figure 8]. Cooked vegetable contains mucilage and is an effective nervine tonic. Leaf juice is a stimulant, expectorant, astringent, appetizer, and otalgia. The juice expressed from the leaf stalks with salt is used as an absorbent in cases of inflamed glands and buboes. Decoction of the peel is given as a folk medicine to cure diarrhea. The juice of the corm is used in cases of alopecia. Internally, it acts as a laxative, demulcent, anodyne, galactagogue and is used in cases of piles and congestion of the portal system, as well as an antidote to the stings of wasps and other insects. Medicinal plants are local heritage with the global importance. The world is endowed with a rich wealth of medicinal plants. Medicinal plants play an important role in the lives of rural people, particularly in remote parts of developing countries with few health facilities. The present review revealed that CE is utilized for the treatment of some common diseases. In the present review, we have congregated information pertaining to botanical, phytochemical, and pharmacological studies. The plant has been studied for various pharmacological activities such as analgesic, anti-inflammatory, anti-cancer, anti-diarrheal, astringent, nervine tonic, and hypolipidemic activity. 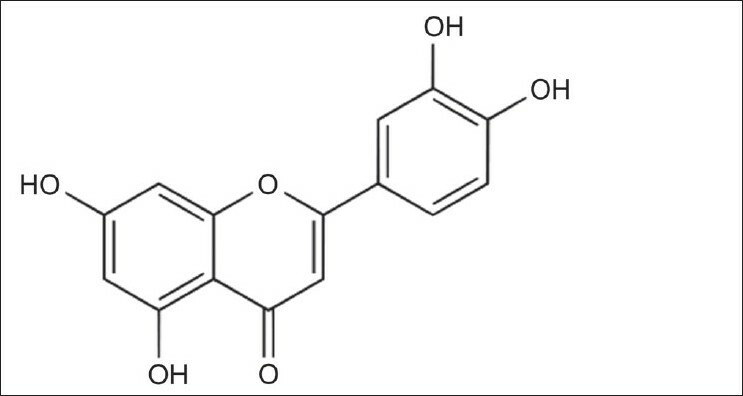 Moreover, chemically, the plant contains various biologically active phytoconstituents such as flavonoids, sterols, glycosides, and other micronutrients. Therefore, it is necessary to exploit it to its maximum potential in the medicinal and pharmaceutical field. 1. Prasad LV. Indian System of Medicine and Homoeopathy Traditional Medicine in Asia. In: Chaudhury RR, Rafei UM, editors. New Delhi: WHO- Regional Office for South East Asia; 2002: p. 283-6. 2. Vishnukanta, Rana AC. Melia azedarach, Pharmacog Rev 2008;2:173-9. 3. Arulmozhi S, Mazumber PM, Ashok P, Narayanan LS. Pharmacological activites of Alstonia scholaris Linn. (Apocynaceae) - A Review. 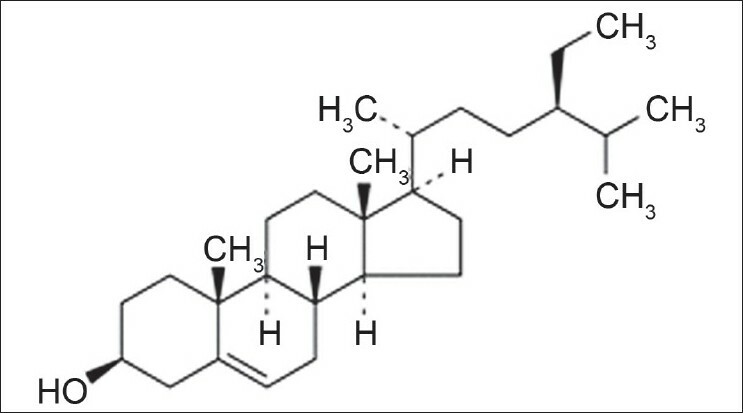 Pharmacog Rev 2007;1:163-70. 4. Wiersema JH, Leon B. World Economic Plants, A standard reference. New York: CRC Press; 1999. p. 143. 5. Sheth AK. The Herbs of Ayurveda. Ahmedabad: A.K. Sheth Publishers; 2005. p. 356. 6. Pullaiah T. Encyclopedia of World Medicinal Plants. New Delhi: Regency Publication; 2006;6:18. 7. Anonymous. The Wealth of India: A Dictionary of Indian Raw Materials and Industrial Products. New Delhi: NISCSIR; 2001:2:157. 8. Kirtikar KR, Basu BD. Indian Medicinal Plants. Dehradun: International Book Distributors; 2005;4:2615. 9. Kalariya MV, Rakesh PP, Parmar SK, Sheth NR. 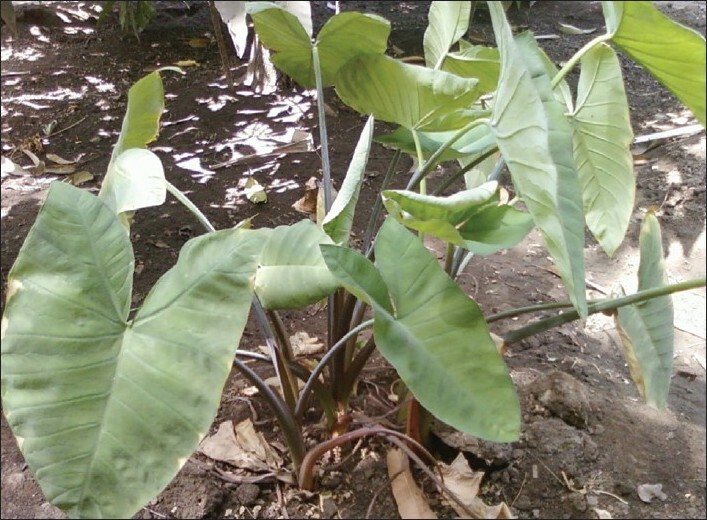 Pharmaconostic evaluation of Colocasia esculenta leaves: Dissertation conducted at Dept. of Pharmaceutical Sciences, Saurashtra Uni., Rajkot, India; 2009. 10. Khare CP. Indian Medicinal Plants. New Delhi: Springer; 2007. p. 167. 11. Anonymous. The Wealth of India: A Dictionary of Indian Raw Materials and Industrial Products. New Delhi: NISCSIR; 2005;1:225. 12. Iwashina T, Konishi T, Takayama A, Fukada M, Ootani S. Isolation and identification of the flavonoids in the leaves of taro. Ann Tsukuba Botanical Garden 1999;18:71-4. 13. Nakayama TO, Harvey TJ, Tsung Hui CK. Anthocyanin composition of taro. J Food Sci 2006;42:19-21. 14. Huang AS, Tanudjaja LS. Application of anion-exchange high-performance liquid chromatography in determining oxalates in taro (Colocasia esculenta) corms. J Agric Food Chem 1992;40:2123-6. 15. 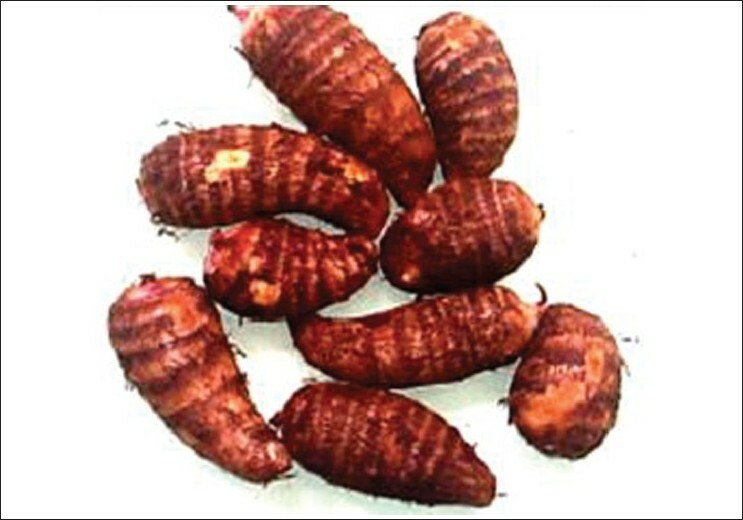 Grindley BA, Omoruyi F, Asemota HN, Morrisona A. Carbohydrate digestion and intestinal ATPases in streptozotocin-induced diabetic rats fed extract of yam (Dioscorea cayenensis) or dasheen (Colocasia esculenta). Nut Res 2002;22:333-41. 16. Yang AH, Yeh KW. Molecular cloning, recombinant gene expression, and antifungal activity of cystatin from taro (Colocasia esculenta cv. Kaosiung no.1). Planta Med 2005;221:493-501. 17. Brown AC, Reitzenstein JE, Liu J, Jadus MR. The anti-Cancer effects of poi (Colocasia esculenta) on colonic adenocarcinoma cells In Vitro. Phytother Res 2005;19:767-71. 18. Sakano Y, Mutsuga M, Tanaka R, Suganuma H, Inakuma T, Toyoda M, et al. Inhibition of Human Lanosterol Synthase by the Constituents of Colocasia esculenta (Taro). Biol Pharm Bull 2005;28:299-304. 19. Boban PT, Nambisan B. Sudhakaran PR. Hypolipidaemic effect of chemicaly different mucilages in rats: A comparative study. Brit J Nutr 2006;96:1021-9. 20. Shah BN, Nayak BS, Bhatt SP, Jalalpure SS, Sheth AK. The anti-inflammatory activity of the leaves of Colocasia esculenta. Sau Pharm J 2007;15:3-4. 21. Kalariya M, Parmar S, Sheth N. Neuropharmacological activity of hydroalcoholic extract of leaves of Colocasia esculenta. Pharm Biol 2010;48:1207-12.